Report infestations to info@coastalisc.com or call 250-857-2472. 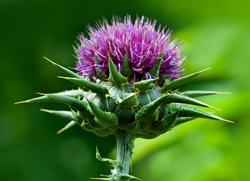 Invasive species are plants or animals that have been introduced from outside of their native range and have the potential to negatively impact humans, animals and/or ecosystems. Invasive species have the ability to establish quickly in new areas and spread rapidly. Giant Hogweed has highly toxic sap that can cause blisters when it comes in contact with skin. Japanese Knotweed, Scotch Broom and Blessed Milk Thistle are just a few other invasive plants we need to manage in our region. The Capital Region is working to eradicate knotweed before it takes hold. If you see knot weed, report it! Check out Knot on My Property for more information. 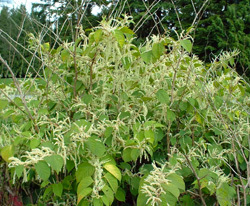 View a list of invasive plants of concern in the Capital Region on the Capital Region Invasive Species Partnership website. What impact to invasive species have on Colwood?